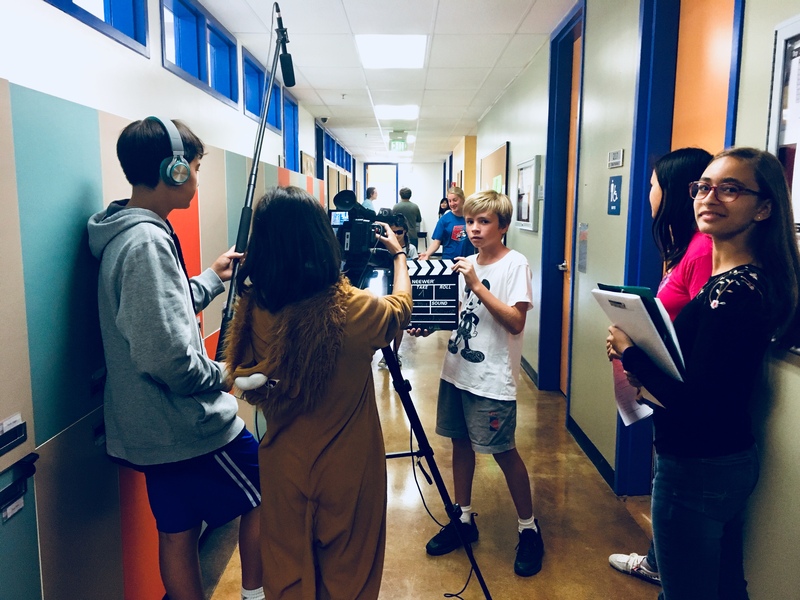 This fall, as one of our new Flex Time classes, students in the International Middle School got to try their hand at the art of cinema. It was a new, exciting challenge that they pursued under the direction of teacher Pauline Fleau, who is a passionate filmmaker when she isn’t teaching French literature to middle school students at ISTP. 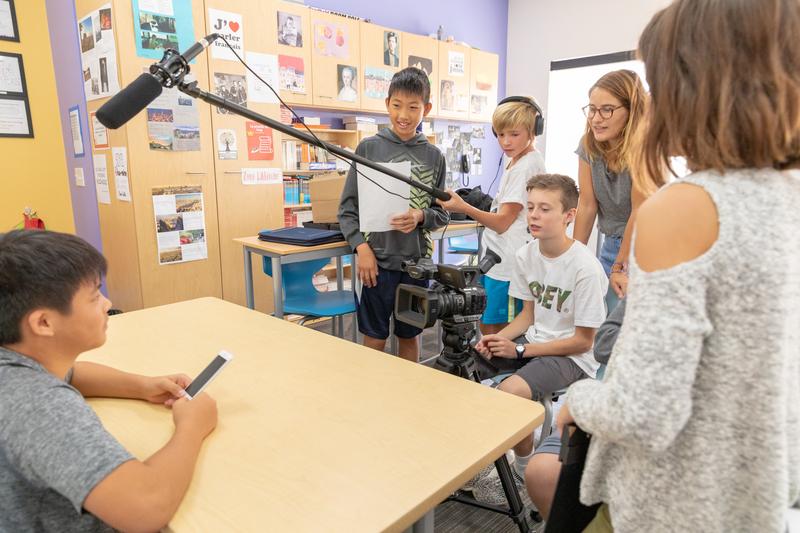 The goal of the class was for students to learn the basic process through which a film is made, and then follow this process themselves to write and produce their own original short film. Students began the semester by learning the basics, such as the different roles on a movie set – director, director of photography, assistant director, gaffer, and grip. They also studied the different shots and framing that cinematographers use to tell a story visually, and the official terminology used in the film industry. Once they got the basics down they jumped into writing their own screenplays, learning about plot and character development. The screenplays had to include a shot list and shooting schedule, and students were limited to two characters and one setting. This challenged the students to be creative, and to organize and manage their time effectively. Once the screenplays were written, students got feedback from their peers and incorporated their suggestions. Finally, they held auditions for the roles (which were open to the entire middle school) and began to shoot their films. Students didn't merely use a single camera angle, but shot each scene multiple times to be able to cut between perspectives in a more expressive, cinematic style. The subjects of the final short films included bullying at school, what happens when someone from the past wakes up in 2019, a magical pair of glasses, and more. 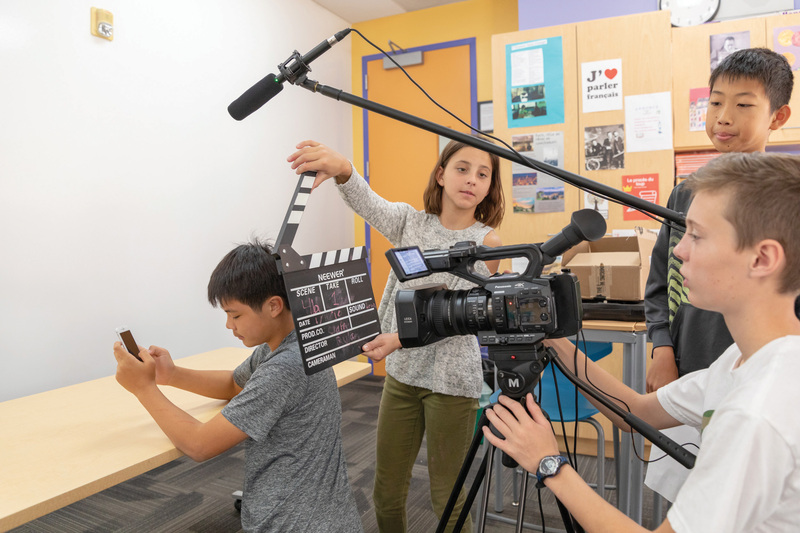 The filmmaking Flex Time class helped students discover a new way to express themselves, and for some, a new passion they can carry into the future. Madame Fleau was impressed with Claire’s work, and she has decided to enter Claire’s short film into her age category at the San Diego Film Festival. Watch Claire’s 3-minute film, Cole’s Mission, about a boy who wakes up to find his parents have been kidnapped!